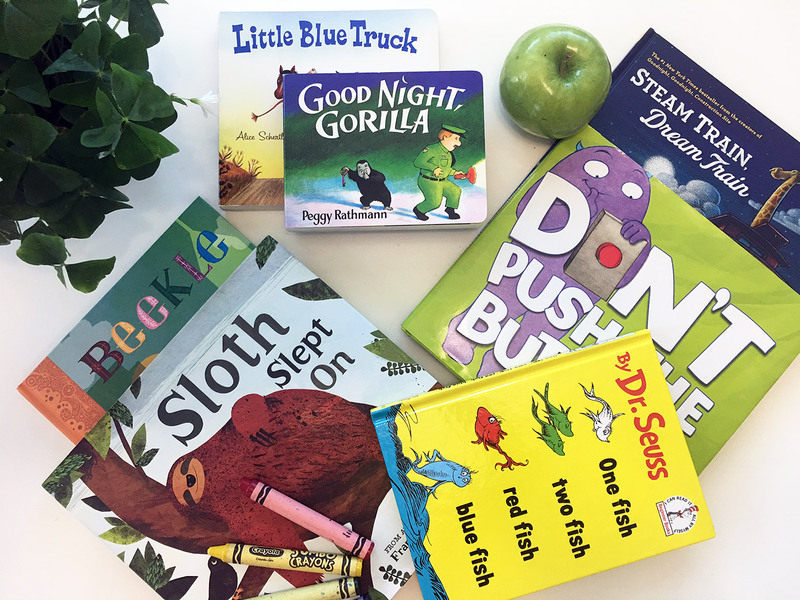 March is National Reading Month so I wanted to take a post and share some of our favorite kids books and ask you to share some of yours! Clint and I were both early readers and we wanted to start that early love of reading with our kids, as well. With Jackson we read to him all the time and it became something he really loved to do, and started reading on his own before he turned 5. I’m just so impressed by how well he does with his reading too. If he gets up a little too early and we need more time to get ready, or need to do something with Dylan, we’ll just say “Hey why don’t you go grab a book and read for a bit?” He’ll jump up, yell “Okay!” and within a couple of minutes we’ll hear him reading out loud in his room or at his play table. We read with Dylan when we are just sitting around playing, and he’s learning to flip pages in his board book (a little bit). And we also do our best to read to him at night before bed. He’s one of those babies where when he’s done for the day, he’s done. So we’ll try to read while he’s getting his nighttime bottle and he watches the pictures and listens fairly intently (while trying not to fall asleep). I’d love to hear some of your favorite books too, please tell me in comments!